The beginning of the month always brings with it a reveal! 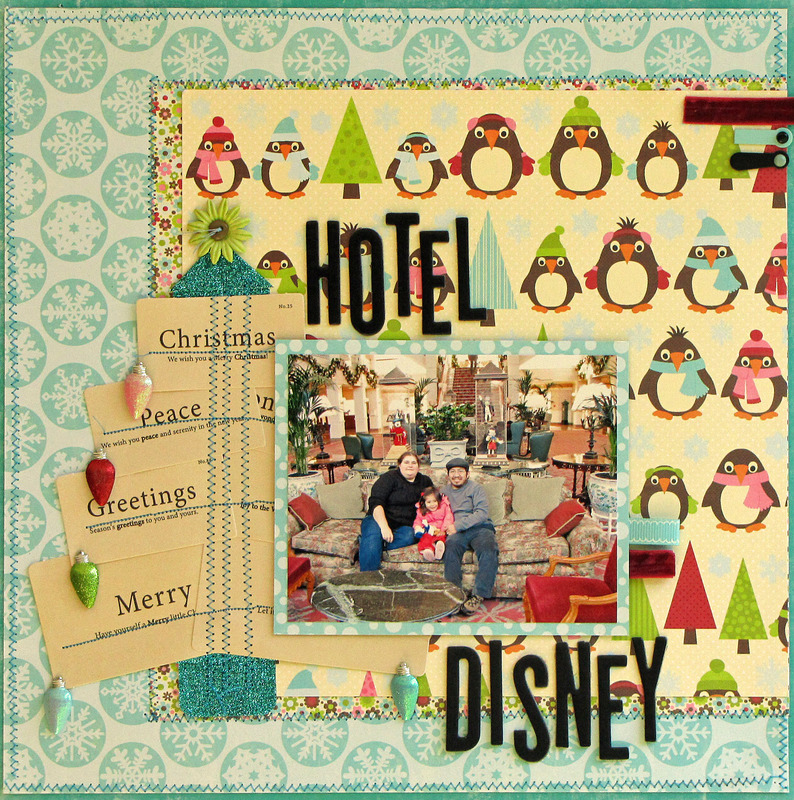 This month I am happy to share with you the projects I have created using Chubby Penguins, the absolutely fabulous December kit. I love this picture we took when we were staying at the Disneyland hotel in Disneyland Paris. The rooms were not as good as we expected, they lacked that Disney feel, but the Hotel Lobby was magical. It was also a very cold holiday, so these papers were just right for the picture. 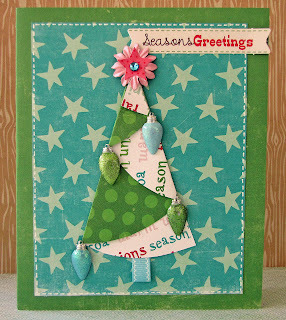 I created a tree using the tags in the kit and my sewing machine. It is one of my faves from this month. Those glitter photo corners were a great addition to the kit, too! And what can be better than starting Christmas morning by hugging Mickey Mouse? This was a very easy layout to create using the die cut strips that came with the kit, but I felt it needed a special touch, so I doodled a string of Christmas lights all around the page using my white marker. 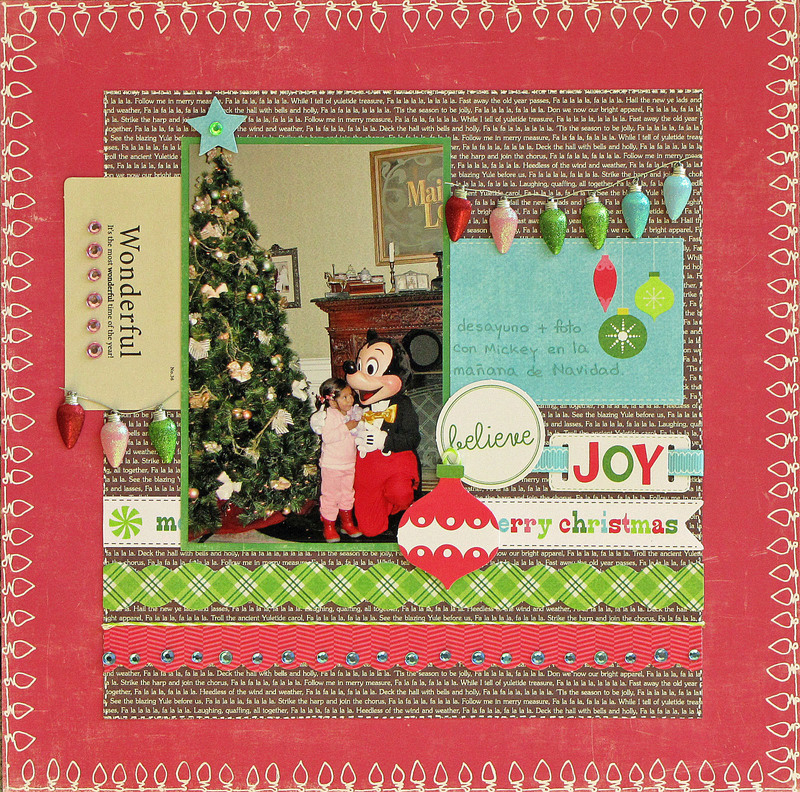 For this layout I fussy cut the ornaments in one of the patterned papers in the kit, and made shaker boxes with them. They were a very easy way to make the layout stand out. 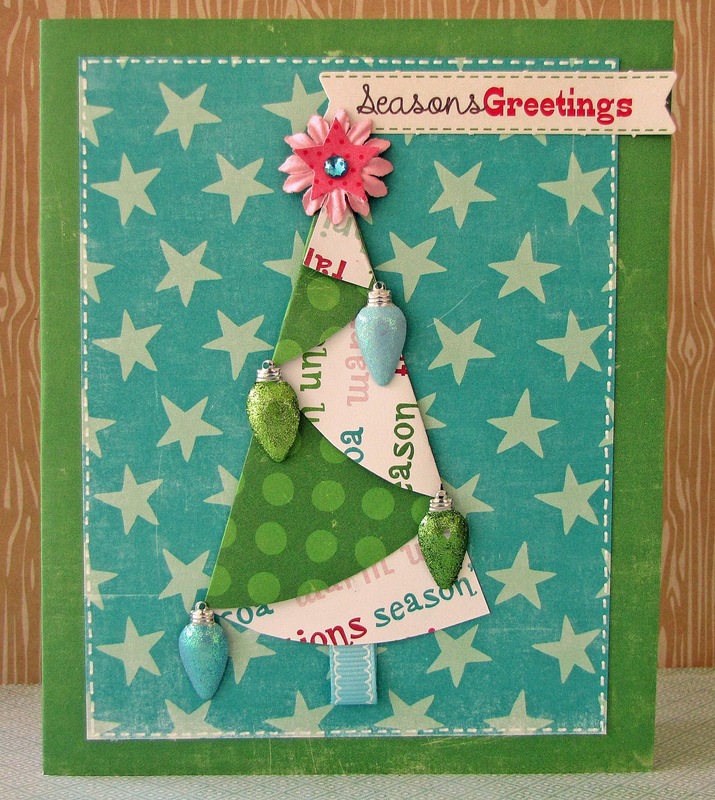 This folded tree card was very easy to make using this folded tree template: http://inkspiredtreasures.com/cards/stamping-411-folded-christmas-tree/. And the Christmas lights in the kit can make any tree look fab! 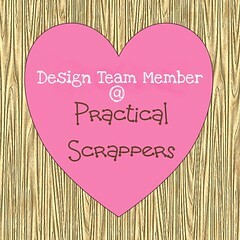 Love, love, love the extra touches that always come in Freehand Scraps kits. This month's included this textured paper that brought a ton of possibilities to my mind. In the end I decided to leave it unaltered and use it as a snowy background, but I sure wish I had had more to experiment with! Last, but not least, Christmas tags. 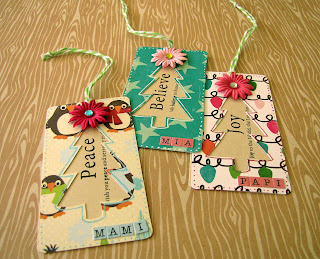 These are double tags, they have one of the kit's tags in the background and a patterned paper tag with a punched out (actually hand cut, my tree punch was not big enough) Christmas tree on the front. They were an immediate success with my daughter, who asked to have them for the Christmas gifts she is preparing. I haven't seen them since. Hope you enjoyed looking at these projects, you can visit Freehand Scraps to have a look at all the projects in the gallery and get yourself one of these fantastic Chubby Penguins kits! You have outdone yourself with this kit, Caro! 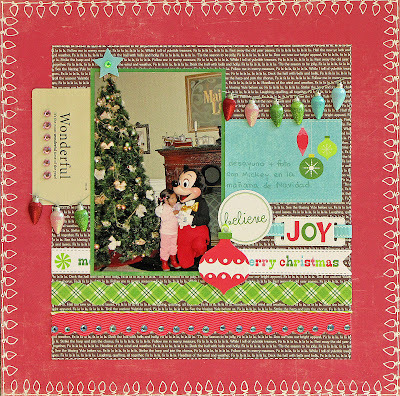 Love the papers, that tree made with the word tags, the cute penquin paper, those lovely cut out ornaments......every project is so unique and beautiful! Thanks for the comment at my blog. I'm glad that you like my card. 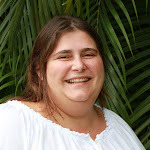 The link you have writen , is not to my blog, but where I found the three. Your card and layout is so beautyfull too. 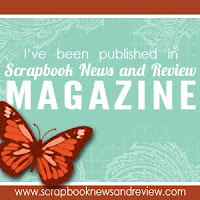 Thanks for visiting my blog!! 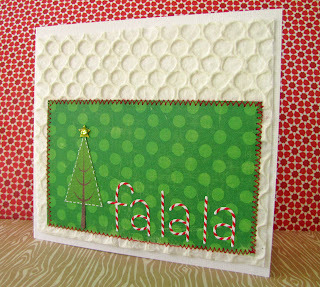 I'm looking forward to seeing the post on the Freehand Scraps blog with the link to my Santa & Me frame. Thanks!!! 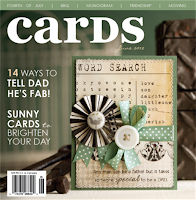 Love your layouts and cards. So much inspiration!! 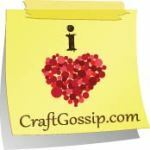 Thanks for the heads up on my ribbon tree and Freehand Scraps - can't wait to see it!